There’s a reason big markets such as Orlando, Las Vegas and New York all rank as top meeting destinations – accessibility, expansive meeting options, and recognizable names make them desirable destinations no matter the program. However, not to be overlooked are the second-tier markets. 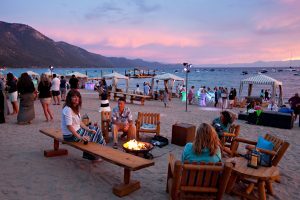 These smaller, consumer-centric destinations deliver authentic, unrivaled content, places and one-of-a-kind experiences at an attractive price point. Just last year, interest in second and third-tier destinations, relative to first-tier destinations, was up a remarkable 91%. It appears the secret is out. Is it time for you to set your sights on a smaller destination? With the clear trend of a business and leisure travel mashup well underway, niche destinations readily stand apart. While smaller in size, these second and third-tier destinations may work a bit harder than their big destination cousins. Cities such as Louisville, Palm Springs, Santa Barbara and Jackson Hole are great alternatives to the big markets we know and love. Each of these destinations continue to work tirelessly to attract events and large business. What does this mean? They are focused on customizing each clients’ experience to the very heart of their cities’ personalities. It’s about you. Have we got you eyeing up these sometimes-overlooked markets yet? After reading below, you might just be! One main reason meeting planners are gravitating towards secondary cities is because of the noticeable lower price point. A recent survey by an industry association found that budget constraints remain as one of the top concerns by meeting planers when executing events. Cities outpricing themselves within the market make it harder for a planner to source. Instead of putting the full meeting budget towards accommodations, more money can be used for exciting team building activities, offsite restaurant choices and even local CSR programs. Not only are prices a comparative bargain in smaller cities, but the venues are first-rate. Some of the finest hotels are in these markets, and restaurants, special events and entertainment opportunities rival those in major cities. Participants yearn for new and unique bucket list experiences, many times available only in smaller markets. 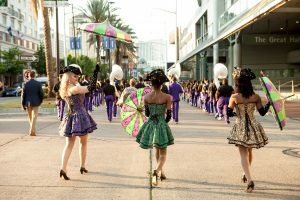 A private Derby Days experience at Churchill Downs or a second line parade on the streets of New Orleans can only happen in these destinations. present themselves as worthy alternatives. They are proactive when it comes to attracting business because they know they need to work to get the client’s attention. For example, secondary cities can work with planners directly to provide attendees with perks and benefits – from room enhancements and airport transfers to specialized destination experiences, second-tier markets offer possibilities that enhance the overall guest experience. 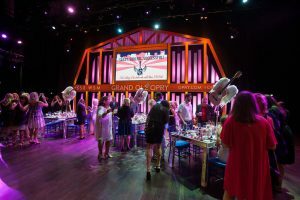 From customized high-end experiences and individual perks, to significant cost savings, what secondary cities lack in size, they make up for in convenience, hospitality and local charm. Think small. You may just like what you find. Have you held a meeting in a smaller city? Share your thoughts below. You’ve intrigued me. Where would you recommend for us? We have people coming from both coasts. Thank you for reaching out. One of our PRA event professionals will reach out to you directly with some great recommendations. We look forward to working with you!